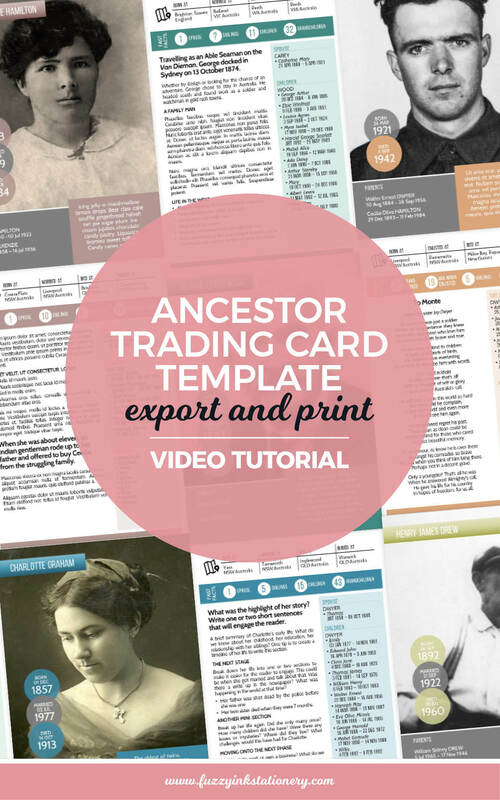 Welcome to the final episode of my Ancestor Trading Card template walkthrough. Over the last few weeks, I’ve worked through the guide to demonstrate using the PowerPoint template, currently available only from Etsy. 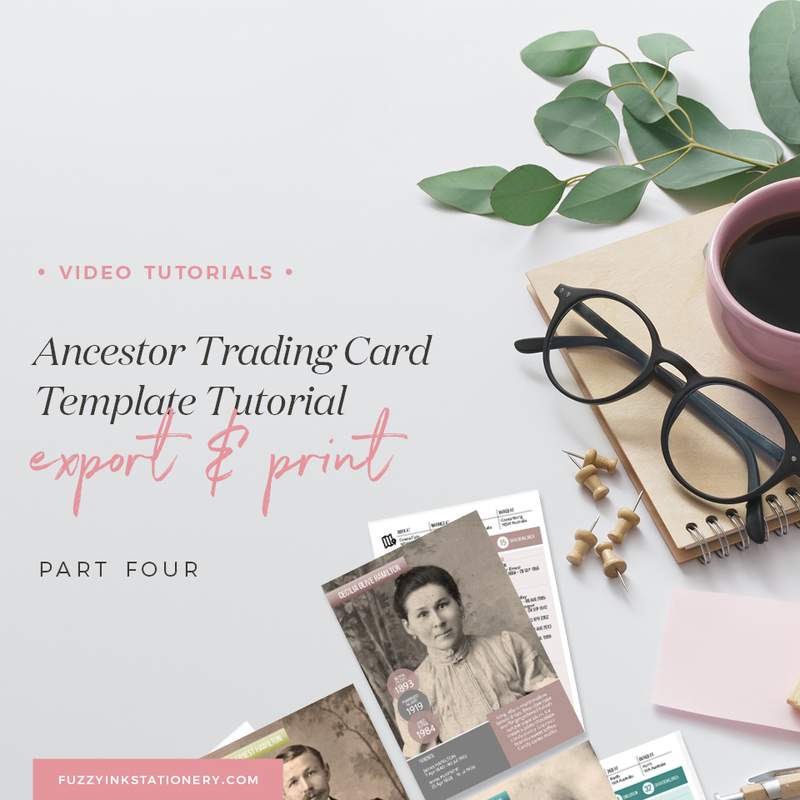 In both the guide and videos to-date my focus was on the setup and card creation. So in the last video installment, I want to cover export and printing. I talk about reordering the file for export, as well the steps to print the final PDF. Furthermore, I show you how the final print out will look (hint: like the example below). And discuss why reordering the cards is so important. Do I need the trading card template? 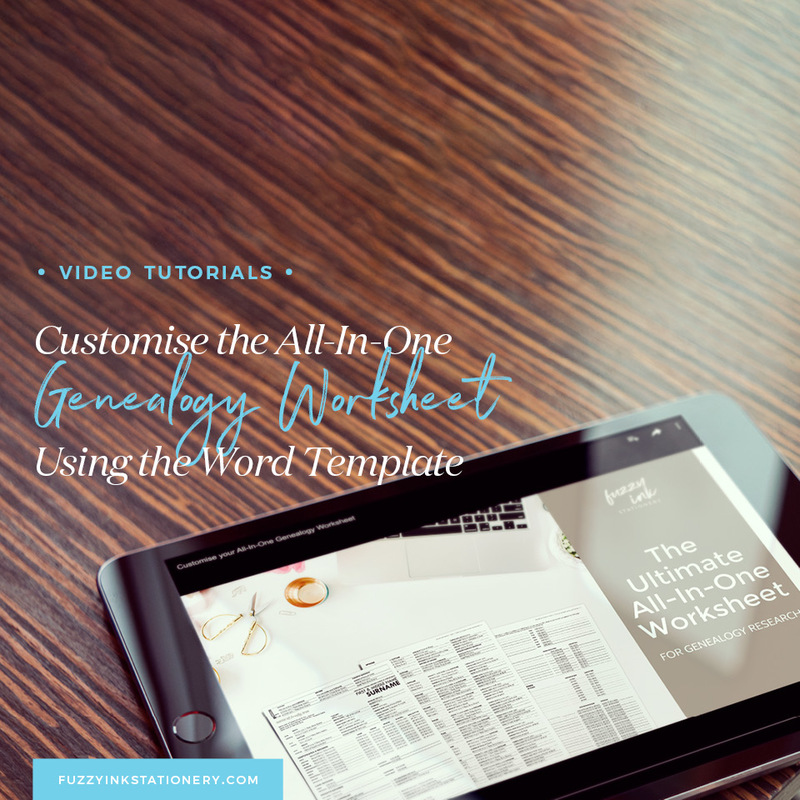 If you want to work through the video tutorials, it would be handy to have a copy of the template. You can buy this from my Etsy store. If you don’t have a copy, then the tutorial series is still for you. 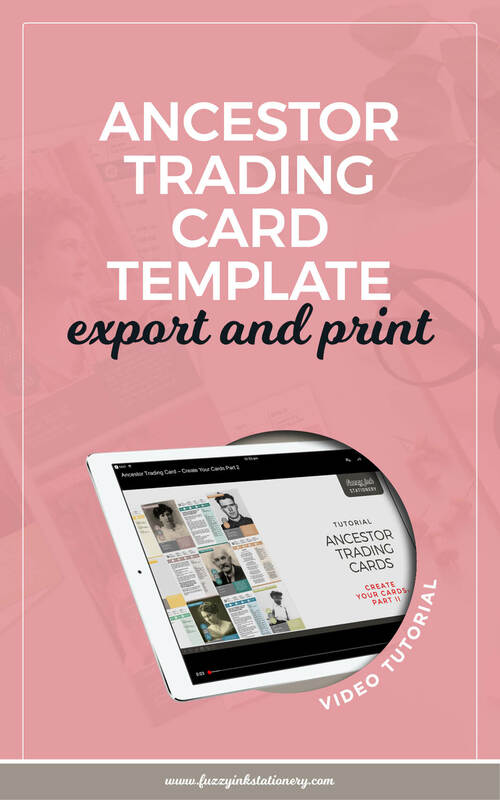 While the focus is on how to create a trading card, you also learn about PowerPoint and printing techniques. Both handy things to know if you are planning future storytelling projects. Remember that the key to storytelling is to get creative. 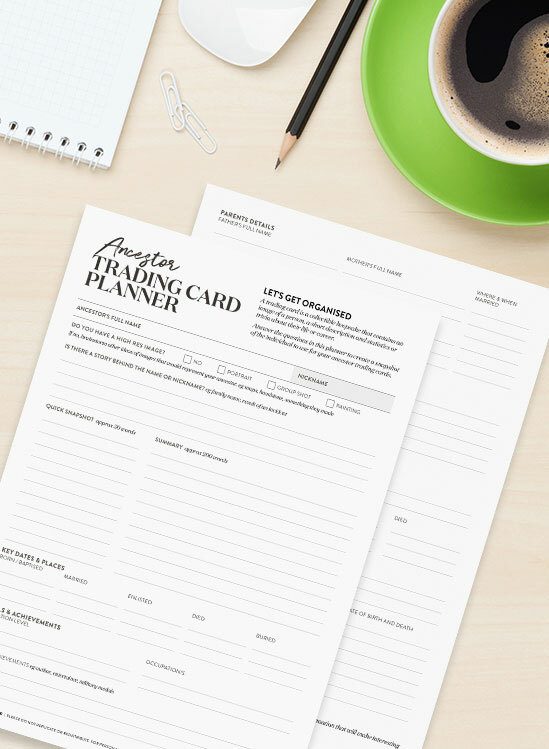 While I would love it if you used my templates, my goal is to encourage you to tell the stories. 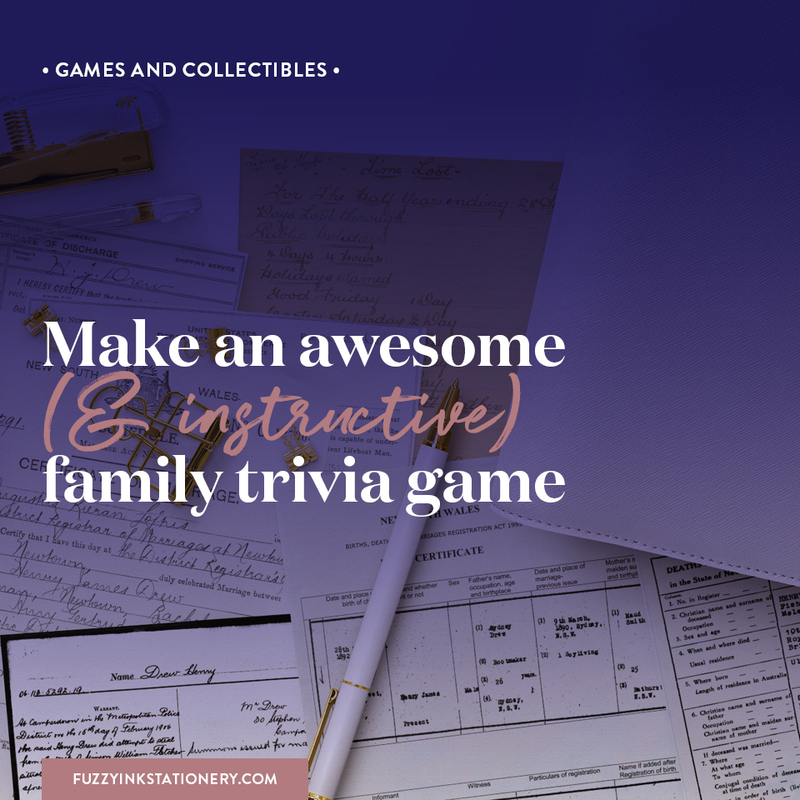 I provide examples of how I do tasks based on information I have about my ancestors. But every ancestor is unique. Every story is different. Every story matters. I love the idea of a trading card for storytelling because it’s visual and shareable. 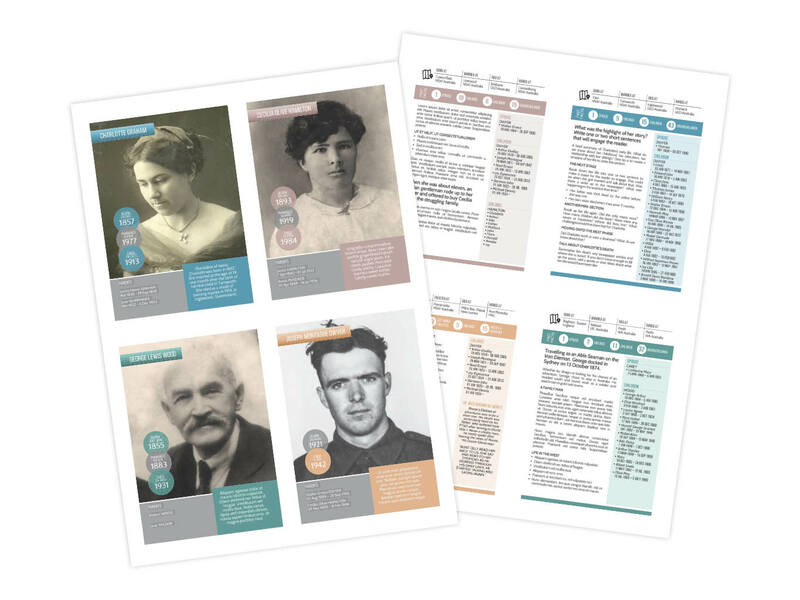 It has also taken me three years to find a trading card format that works for my ancestors stories. Even if it’s not right for your storytelling, keep experimenting to find what is. Or better yet, let’s do it together. Now I’d love to hear from you. Drop your thoughts in the comments below or send an email to hello@fuzzyinkstationery.com. What did you find most interesting about the tutorials? Is there one learning you would apply to future projects? Other than PowerPoint, what programs do you use for your storytelling? Perhaps you’ve already created something similar in the past? I’d love to see it, and also to hear about your creative journey. Share a photo via email or over on Facebook. Finally, don’t forget to check out my Facebook Live tips, tricks and template walkthroughs. I’m live most Friday’s at about 10 am AEST. 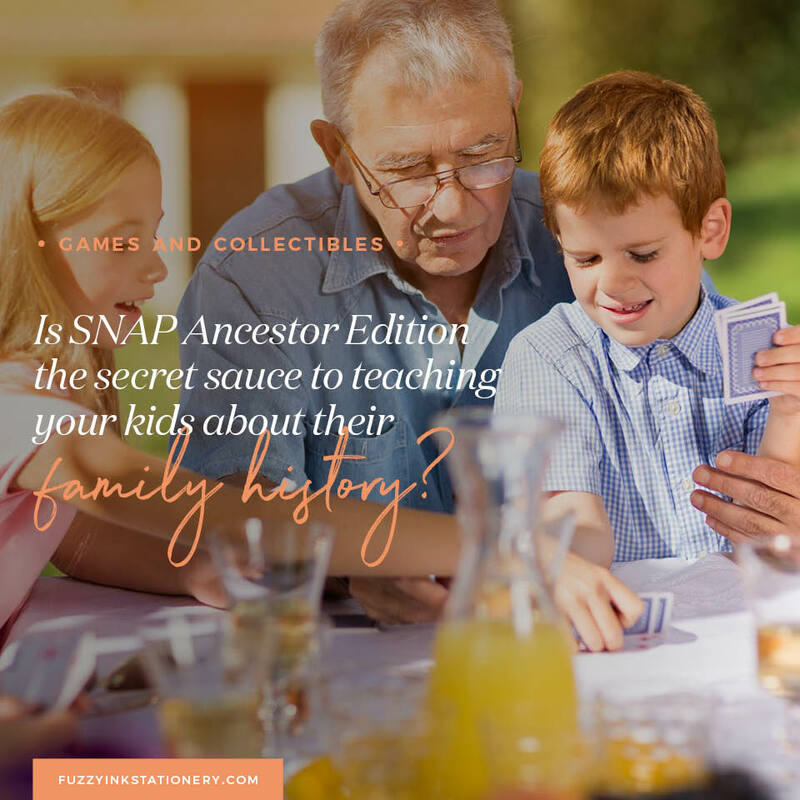 How Collectible Are Your Ancestors? Before you begin, know the story that you want to tell. 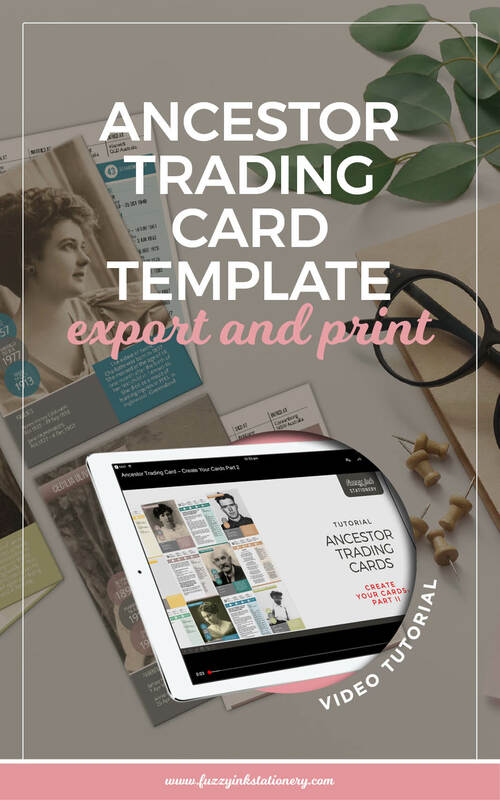 ​​This ​FREE ​print-ready PDF Ancestor Trading Card planner ​will help you organise your content before you ​turn your ancestors into a set of collectible cards.